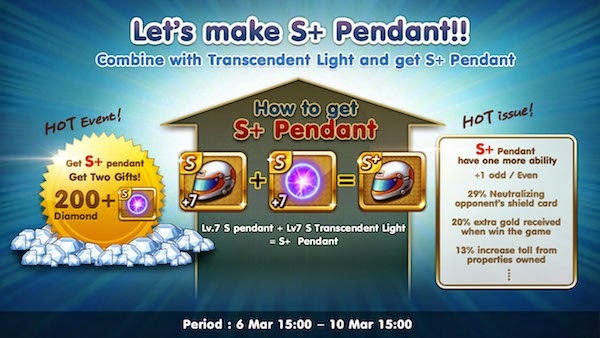 Get 200 Diamonds and Premium Pendant Gacha again Discount 50%!! -Got S Gamblers Glove S Class Get Transcendence FREE! !